New York City Marathon Preview: Who challenges Kipsang? Kenya or Ethiopia in women's race? What about Meb? 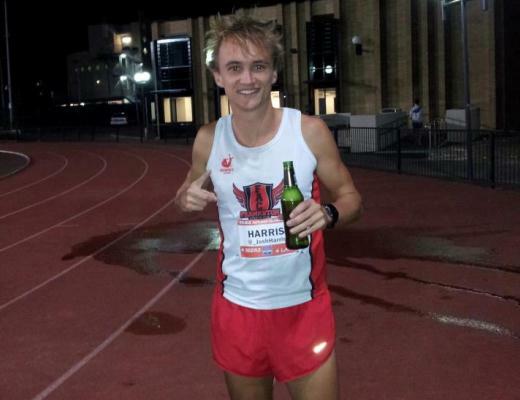 Ahead of Sunday’s New York City Marathon, here are six questions that I hope to get answered. Kipsang hasn’t won a marathon in a year, but still enters as the favorite. The man he beat in a one-sided sprint finish in Central Park, Lelisa Desisa, is also back. Those two ran against each other at the World Championships in August in what amounted to a giant false alarm of a race with all of the favorites getting clobbered. Kipsang didn’t finish that race and Desisa took seventh. Running for love of country at the World Championships is one thing. Running for love of country and a truckload of money is another so I expect to see a much more prepared Kipsang and Desisa than we saw in Moscow. If it’s not Desisa, then Stanley Biwott, Geoffrey Kamworor and Yemane Tsegay are the only ones who can run with an in-form Kipsang. Tsegay took silver at the World Championships and Biwott is perennially involved in late race moves. Much of who sticks around in the main pack and for how long depends on Kipsang. I expect the top tier to defer to him since he is the defending champion and (up until the World Championships) never really ran a poor marathon. After running a cautious, yet extremely impressive race in 2014, will Kipsang take a shot at Geoffrey Mutai’s course record of 2:05:06? When Mutai ran that time in 2011 he was by himself for the final miles once he threw in a surge that broke up the group. Kipsang might need to do something similar in the last half to get the course record since non-paced men’s marathons are obligated to spend the first five miles at a pace that good American club runner can hang with. When they do pick it up (and said club runner fades into the background with 21 more miles to run) Kipsang should have company. There is enough speed in New York to make sure that he won’t have to go it alone, even if he drops the pace down around Mutai territory. Meb’s M.O. has been to beat everyone he should and throw in a few he shouldn’t. If he does that on Sunday, he will once again finish in the top five. Based on personal bests, he is ranked seventh. Yuki Kawauchi is just a few seconds ahead and past performances tell you that one of the Kipsang/Desisa/Biwott/Tsegay/Kamworor quintet will falter. Likewise, two of them will have a decent day, which makes a Meb upset a longshot. But I said the same thing about Desisa and Dennis Kimetto in Boston last year and neither of those two made it all 26.2 miles. 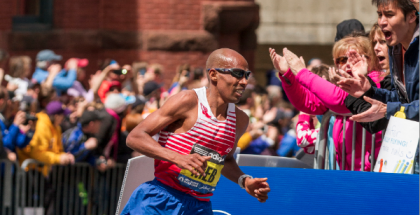 At this point in his career, Meb has nothing to lose. He has his Olympic medal and victories in the country’s two most important races. I doubt even he thought he’d be tops in the country at this age. Yet, he is still the best chance for an American man to win a major marathon every time he lines up. Because of this, he still has an opportunity to add to his career accomplishments and with that comes a bit of pressure. That’s well and good for someone who white knuckled his way to a win in the most significant American marathon in history. There are many ways to measure Meb’s longevity. Each time I preview one of his races I feel like I stumble on a new metric to try and quantify how unbelievably consistent he has been. This year, look at the major marathon winners over the past five or ten years. I’m not talking about people like Haile Gebrselassie who are older than Meb and have retired. I’m referring to those whose career lifespans are encompassed by Meb. Runners like Moses Mosop and Patrick Makau (and now possibly Geoffrey Mutai) were once far ahead of Meb. Now, they are no more. After a few years they came and went, all the while Meb continues pounding out 2:09s and finishing on the podium. Kenya or Ethiopia in the women’s race? In most major marathons, the deck is tilted one way or the other. One close look at the entry list and you can see that it isn’t really a balanced match-up. You’d never know that from listening to the commentators go on about Yankees vs. Red Sox and all the other metaphors used to describe the rivalry between the two nations. But usually one country has more of their better runners available and the results follow suit. Not so for the women’s race on Sunday. Right now, it looks dead even through the first six. Each country has three legitimate entries who can win the race. Kenya will trot out defending champion Mary Keitany, 2013 New York champion Priscah Jeptoo and this year’s Boston Marathon champion Caroline Rotich. Ethiopia counters with London Marathon champion Tigist Tufa, multiple-time top five major marathon finisher Buzunesh Deba and 2015 Dubai Marathon champion Aselefech Mergia. If you were to draft these six in order of predicted finish it would probably shake out Keitany, Tufa, Rotich, Mergia, Deba, Jeptoo. Or Tufa, Keitany, Mergia, Jeptoo, Deba, Rotich. Or…any other combination of the six. It’s hard to separate them except that Keitany is the defending champion and has plenty of experience on the course. If Jeptoo is anything like she was in 2013 then she could win. Deba trains in the Bronx (and Tufa used to)– a fact you will hear multiple times over the course of the race. The next strongest country is Portugal who have two runners who could crack the top five, Sara Moreira and Ana Dulce Felix. Can Geoffrey Kamworor win the big one? Admittedly, I’m using an incredibly narrow definition of the term “big one.” Kamworor is the reigning World Half Marathon champion and World Cross Country champion–two very difficult races with “World” in the title. But he hasn’t hit one out yet in a marathon. He was third in Berlin in 2012 and 2013 and fourth in Rotterdam in 2013. Strong performances, and matched with his accomplishments on the track (silver behind Mo Farah this summer), he has an incredible resume. A win in New York though is on a completely different scale. And despite being very young, 22, he’s getting to the point where his marathon potential is coming into focus. If he doesn’t run well on Sunday, should he keep trying to make it work? Or, should he just settle for clobbering fields in every other distance (Mo Farah in the 10,000m excluded)? 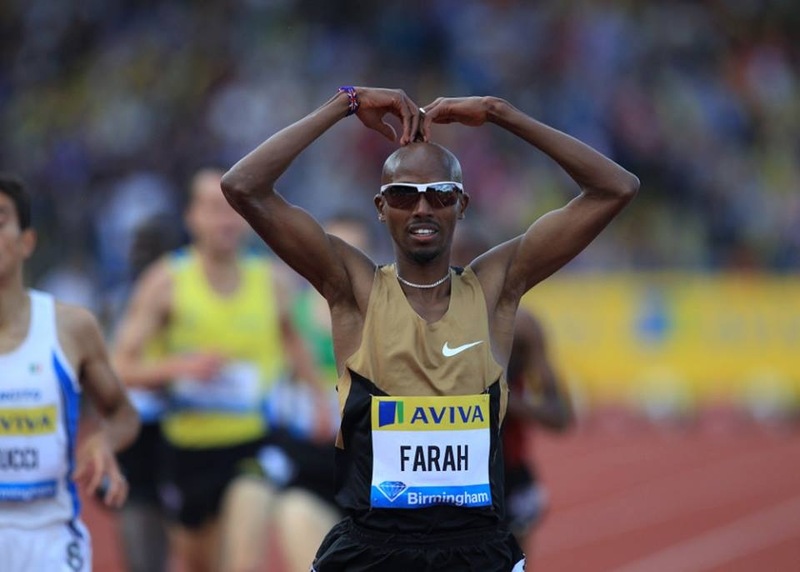 In New York, he will be the owner of the fastest 10,000m speed in the field. That’s a talking point that isn’t as useful as it sounds in the marathon. But, Wilson Kipsang proved that if any marathon can turn into a sit-and-kick race, it’s New York. This is Kamworor’s first attempt at New York and most likely his first non-paced marathon. He’s done pretty well with tactics in half marathons, cross country and even in the 10,000 this summer. At the Prefontaine Classic, he never involved himself in the lap sharing with Paul Tanui and Mo Farah, much to the chagrin of Farah at the time. Whether that patience, and commitment to following at all costs, coverts to 26.2 miles will be one of the most interesting stories to follow within the race. Which American will break through as an Olympic Trials contender? Who will be Meb’s +2 next February in Los Angeles? Or, if you are optimistic about Dathan Ritzenhein’s chances, who will join he and Meb on the Olympic team? It seems that each new marathon adds someone different to the list of possible Olympic qualifiers. Last year in Chicago it was Bobby Curtis. This year in Chicago it was Elkanah Kibet and Luke Puskedra. Jared Ward ran well in Los Angeles in March so let’s add him too. The American men’s race isn’t as deep this year so the list of possibilities is smaller. It will be an opportunity for Nick Arciniaga to reestablish himself at the top of that second pack of American marathoners. The American women’s field is even smaller and doesn’t have a headliner. Alana Hadley is the fastest American entrant with a personal best of 2:38:34. Hadley is just 18-years-old and decided to not compete in college and instead race professionally on the roads. Her story is familiar to anyone who follows running closely, though running in New York will exponentially increase her name recognition. Hadley ran her 2:38 last November in Indianapolis. Since then she has dropped out of her last two marathons. Nonetheless, she enters as the top American female based on time. That’s a headline born out of circumstance. Most top Americans are skipping this race (and the entire fall season) to prepare for the Olympic Trials. Circumstance is a theme around the coverage of Hadley. She’s also been tabbed as America’s next great marathoner. A distinction that she may very well live up to one day, but right now she’s the best in an event that nobody her age runs. 2:38 at age 17 is incredibly impressive; however, the more likely scenario is that America’s next great marathoner is somewhere running NCAA cross country this fall. Just something to consider before the running world needlessly turns up the pressure and spins her prospective performance into something unrealistic. Who will have the most impressive debut? The women’s race has the more intriguing first time entries. Sally Kipyego, multiple medal winner on the track from Kenya, will give it a go. Because if there is one thing Kenya needs, it’s another marathoner. For the U.S., Laura Thweatt was a breakout star on the track and in cross country in 2014. Anything under 2:32 puts her in the mix to contend at the Olympic Trials, but it’s her first try so anything around 2:36 in New York City is a great run.